As the cloud shaped bath bomb starts to fizzle, you’ll instantly smell a fresh breeze of limoncello, rose petals, and sandalwood that melts perfectly in your tub transforming it into a billowy blue sky you could just fall into. As your cloud starts to fade into light blue, a capsule pops to the surface to reveal an opal-inspired ring set in a rose gold colored band reminiscent of a limitless sky. 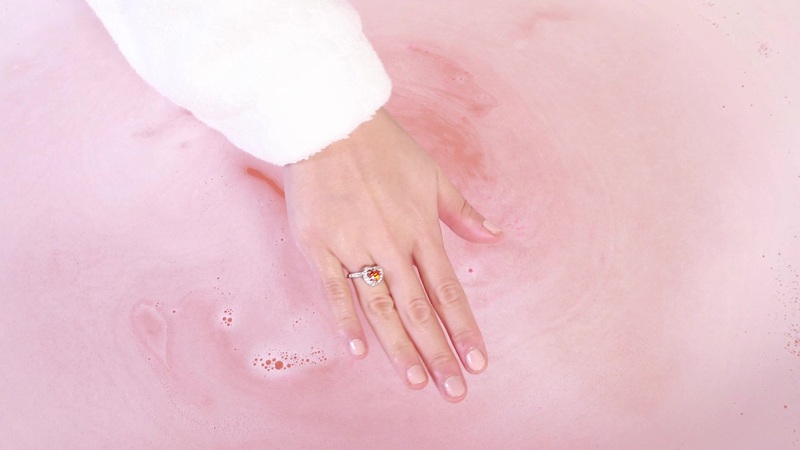 Along with this souvenir, each bath bomb comes with a code for the chance to win a ring worth up to $10,000 through our Enter the Vault Sweepstakes!